Given the opportunity to host their first World Cup in 1950, Brazil has high hopes of establishing the country as both an economic and soccer powerhouse. With 11 minutes remaining in the game, everything unravels. Alcides Ghiggia, a small and dangerous forward, tucks a ball between Barbosa and the near post to win the game for Uruguay. 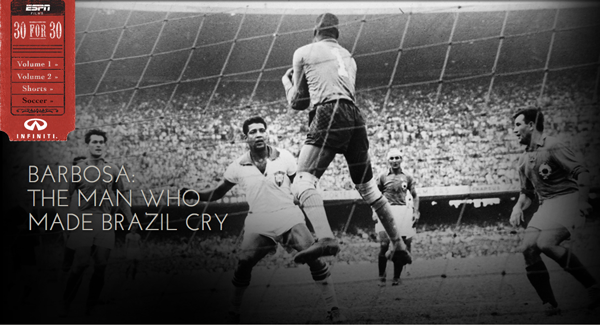 Brazil goes into a state of mourning and Barbosa becomes an anti-hero in his own country. Aired on ESPN during the 2014 World Cup Games – hosted (again) in Brazil.